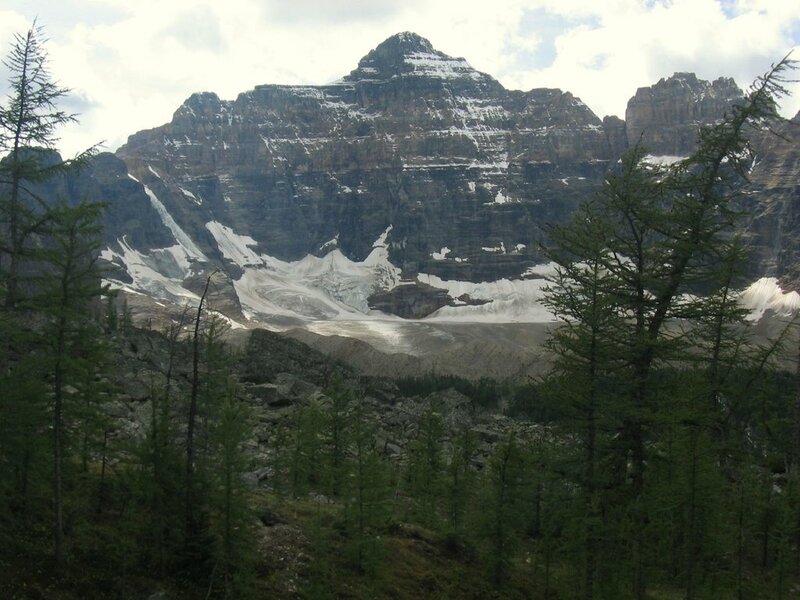 Mount Hungabee, officially Hungabee Mountain, is a mountain located on the boundaries of Banff National Park and Yoho National Park on the Continental Divide at the head of Paradise Valley. The peak was named in 1894 by Samuel Allen after the Stoney Indian (also known as Nakoda) word for "chieftain" as the mountain is higher than its neighbouring peaks. The mountain can be seen from the Icefields Parkway (#93) in the upper Bow Valley. Mt. Hungabee was first climbed in 1903 by H.C. Parker who was guided by Hans Kaufmann and Christian Kaufmann. Do you have photos of Mount Hungabee or know something about it? Please let us know!